I received my MBA in Information Systems and Marketing from NYU's Stern School of Business and worked for years on customer interface websites for corporate employers. I am now designing smaller web and social media sites. Click on the thumbnails to see examples of my original designs. 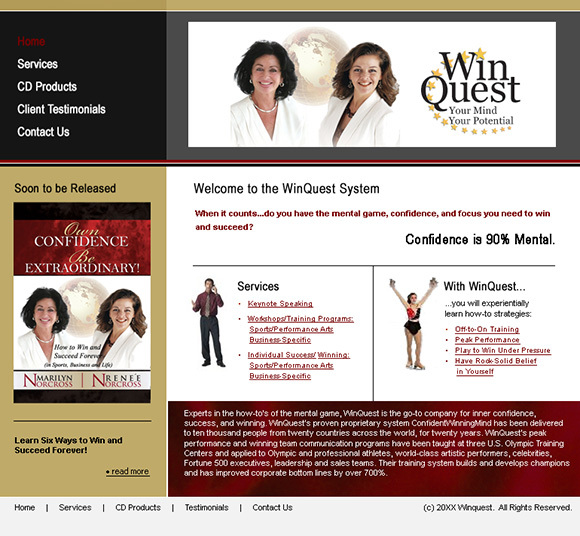 The site designed for a team of motivational speakers incorporated an ad for their upcoming book. 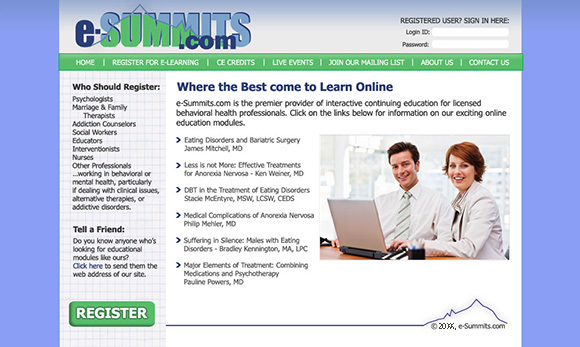 The design for a continuing professional education website with Adobe Captivate video modules. 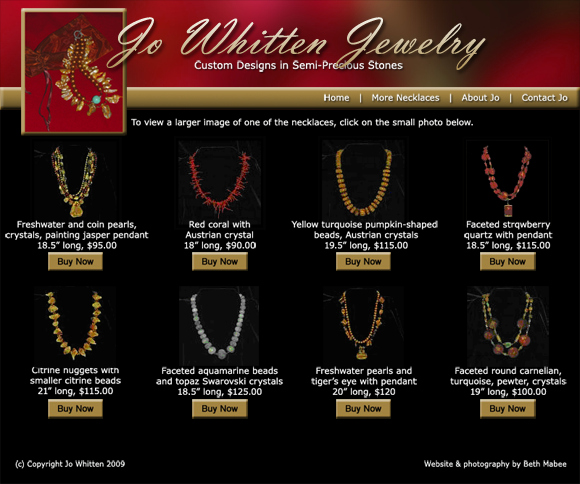 An e-commerce design for a jewelry designer's site featuring PayPal buttons rather than a shopping cart. A “billboard site” for a location advisory firm. One of several design comps for an Arizona real estate firm. 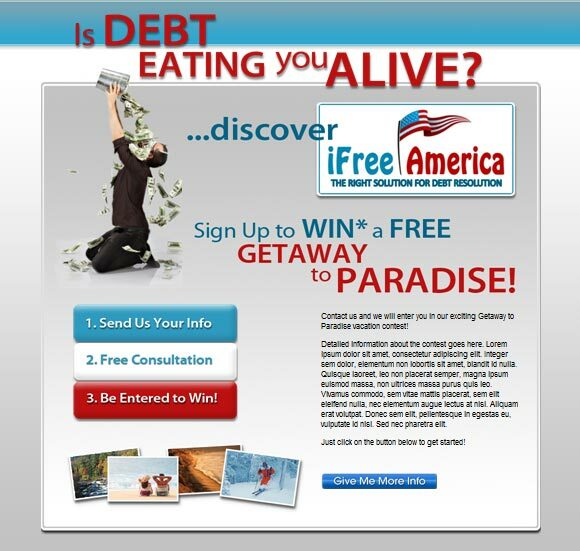 This was the landing page for a debt counseling firm's seasonal promotion. Two CSS Zen Garden designs; identical HTML, different CSS. One has a liquid format, the other a centered column scrolling over a fixed background. Both designs open in new windows. 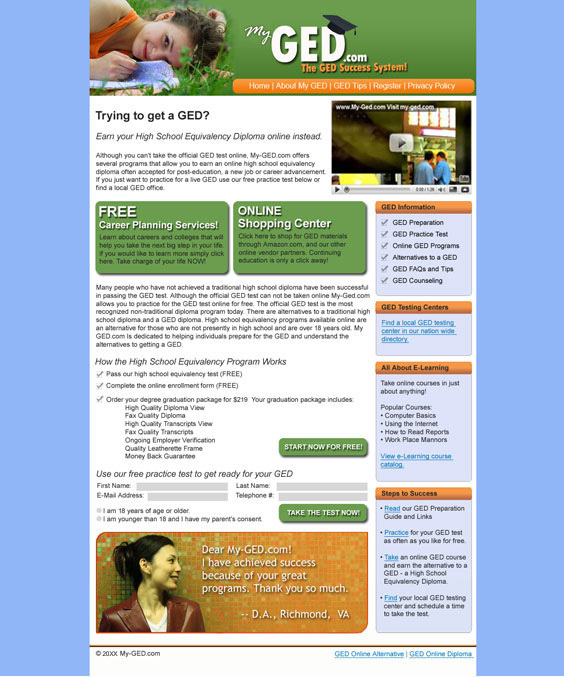 This was the original home page design for an online GED site. First Presbyterian Church of Sun City - Redesigned site for a church using the BoldGrid plugin for WordPress. Please also see their Facebook and Pinterest pages; I do all the posting. 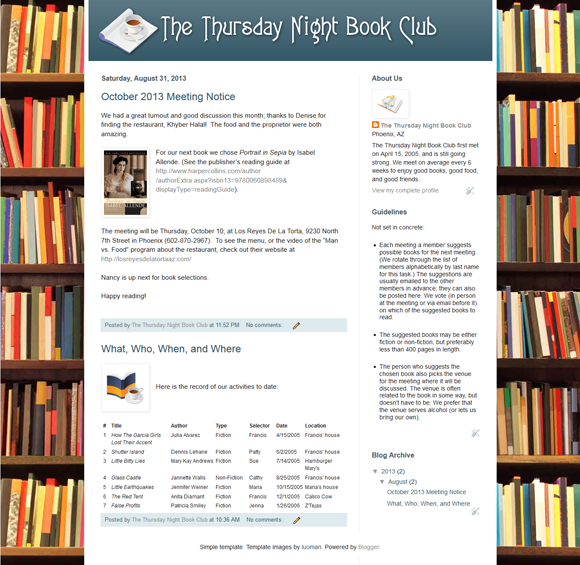 The Thursday Night Book Club - This is a blog set up for a local book club so the members can post meeting notices and track what they've read. The background was a Blogger template but I added the custom header, the content, and icons from a free collection of book-related graphics. The live site is password-protected. Nicole Lacy - This comp for a singer's site started as a template but has been significantly altered.